The Dan and Johnnie Winn Memorial Scholarship shall be to honor the lives of Dan and Johnnie Winn and to provide assistance for any education related expenses, including but not limited to tuition, books and fees for students pursuing a degree in the School of Mass Communications at the University of Arkansas at Little Rock. This $2,000 scholarship is designated for graduate or undergraduate journalism students who need financial aid. The scholarship is provided by the estate of Herbert and Gertrude Latkin of Santa Barbara, Calif. The Latkins were Little Rock residents who moved to California in 1957. Latkin was a businessman with interests in advertising, publishing, real estate and oil. His wife was active in the Girl Scouts and a leader of many Little Rock civic organizations. Latkin died in 1980 and Mrs. Latkin died in 1991. These two scholarships are designated for graduate or undergraduate journalism students interested in practicing print journalism in Arkansas or in the South and who have a 3.0 grade point average or better and financial need. Money must be used for books, supplies, tuition and fees. The scholarships are funded from the estate of Edith Wood Sweezy. Sweezy, a reporter, editor, and publisher, died in 1984 after a 40-year career in journalism. Newspapers she worked for include the New York Herald Tribune, the Hot Springs Sentinel-Record, the Legislative Digest, the Arkansas Recorder and the Daily Record. This scholarship is designated for a journalism major. The scholarship is provided by William J. Smith in the name of the former governor. It is one of six scholarships provided by Smith honoring the public service of former governors. This $250 scholarship is designated for students with at least sophomore standing who are interested in newspaper journalism. The scholarship is provided by the Arkansas Democrat-Gazette and WEHCO Media. This scholarship is awarded to a student with junior status studying journalism. The scholarship is awarded to journalism majors or minors with financial need. A journalism major or minor who is a junior, senior, or graduate student with a 3.0 GPA on a 4.0 scale may apply for this scholarship. Applicants must show professional skills, be active in journalism organizations, and be interested in the Freedom of Information. This scholarship is available for full or part-time students with a major or minor in journalism. The applicant’s educational accomplishments and financial needs along with dedication to the journalism profession will be strongly considered. This summer scholarship is offered to full-time graduate students who pursue a Master of Arts in print or broadcast journalism. The student must be enrolled in a summer semester. Awarded to a full-time or part-time student majoring in broadcast journalism. Academic accomplishment and financial need will be strongly considered. Preference will be given to a sophomore. Awarded to juniors and seniors. Emphasis in studies must be in broadcast journalism. Academic accomplishment, financial need, and the desire to serve as an intern with KARK-TV in Little Rock will all be considered. Awarded to a full- or part-time student majoring in mass communication, with preference given to junior and senior level students. Academic accomplishment and financial need will be strongly considered. This scholarship is awarded to a full-time, single parent majoring in journalism or radio, television, and film. Preference is given to junior and senior students with proven academic skills and financial need. Awarded to a full-time or part-time student with an interest in Radio, Television, and Film, particularly Broadcast Management. Preference will be given to junior and seniors. Academic accomplishment and financial need will be strongly considered. This $100 scholarship is designated for an outstanding student studying journalism. The scholarship is provided by the campus chapter of the Society of Professional Journalists. In addition, the Journalism faculty nominates up to three students for a $1,000 scholarship provided by the Arkansas Professional Chapter of the Society of Professional Journalists. Nominees must be academically qualified, need financial aid and show journalistic promise. Five scholarships are available for students interested in broadcast or print journalism and one scholarship is designated for a student who is interested in advertising or public relations. Kappa Tau Alpha makes three awards as part of its annual KTA Journalism Research Paper Competition. Awarded to a full-time student with a declared major in RTVF. The applicant must be at the junior level, between 60 to 90 hours; and have taken and passed with a C or better no less than twelve RTVF Program credit hours, including MCOM 2300, 2308 and 2330, with a 3.0 GPA in the Program and a 2.5 GPA overall. Awarded to a full-time student with a declared major in RTVF. The applicant must be at the junior level, between 60 to 90 hours; and have taken and passed with a C or better no less than twelve Media Production RTVF Program credit hours, including MCOM 2300, 2308 and 3304, with a 3.0 GPA in the Program and a 2.5 GPA overall. Awarded to a full-time student pursuing a Journalism or RTVF degree. Academic achievement, financial need, and willingness to participate in the News Producer Internship program will be considered. Students must be a Junior or Senior with 60 or more credit hours and have at least a 3.0 GPA in the Program and a 2.5 GPA overall. Applicant must be a full-time student enrolled at UALR, or RTVF major and in the electronic news sequence. Student must be a Junior or Senior with 60 or more credit hours and have at least a 3.0 GPA in the Program and a 2.5 GPA overall. Awarded to a full-time senior with 90 or above credit hours and should have taken and passed with C or better no less than 18 MCOM (RTVF) credit hours. 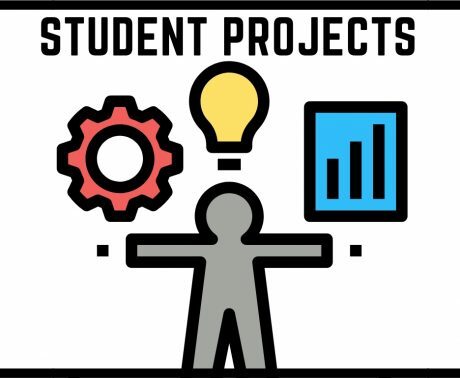 Award is based on academic performance, participation in extracurricular Program activities, such as University TV, advisor evaluation, career goals, areas of study, and financial need. This scholarship is awarded to an Arkansas high school graduate who plans to enter or who is currently pursuing a degree in journalism or radio, television, and film. Freshmen applicants will have preference but sophomores, juniors, and/or senior will be considered. Applicants must submit a specified topic available through the School of Mass Communication and present a news story in one of three formats: radio – a 90-second audiotape on cassette or compact disk; television – a 90-second videotape on VHS or DVD; newspaper – 1,000 word typed and printed article. Awarded to a full or part-time student majoring in mass communication with a goal of pursuing a career in broadcast television. Preference will be given to junior and senior level students. Academic accomplishment and financial need will be strongly considered. A limited number of graduate assistantships is available. To be qualified, students must be fully admitted to the graduate program, in good standing, and have and maintain at least a 3.0 GPA. The journalism graduate program coordinator nominates students for appointments by the Graduate School dean. Assistantships usually include a limited tuition scholarship, a stipend of at least $6,000(full-time) or $3,000 (half- time), and a 20 (full-time) or 10 (half-time) hours-per-week duty assignment for the nine-month academic year. A non-paid, on-campus internship is required for a degree in radio, television, and film. The internship provides a student with practical hands-on experience working at the university cable access channel, University TV and/or the University’s public access radio stations–KLRE/KUAR. 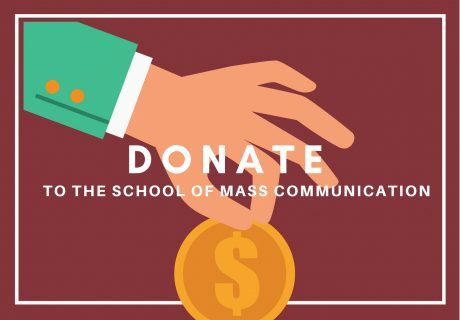 School of Mass Communication students also take external internships with local print and electronic media, production houses, corporations, government agencies, and non-profit organizations. Student jobs are available from semester to semester. For information about possible openings contact David Weekley the coordinator at dcweekley@ualr.edu. The School also provides a job board listing employment opportunities from local media facilities as well as University job openings. For information on other financial aid, such as the College Work Study Program and student loans, write to the UALR Student Financial Aid Office, 2801 S. University, Little Rock, AR 72204-1099 or call (501) 569-3035.